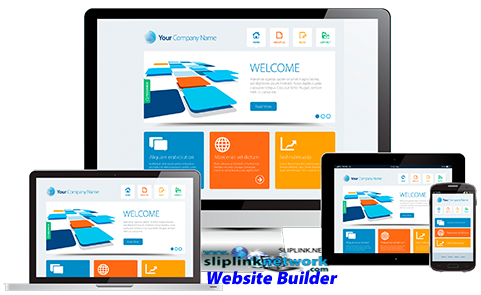 Sliplink Network Website Builder - Get online. Grow your business. Never miss a customer. It’s fast -With intuitive navigation, templates and drag-and-drop functionality, your website can be up and running tonight. No technical skills or coding required. It’s easy – For any skill level, we take the hassle out of building a website. Just pick your design, add your text, drag and drop any image you want and that’s it! You’re ready to publish. It’s mobile – Your site is automatically optimized for mobile, so it will always look amazing, even on a 4-inch smartphone screen. In general terms, website builders are all-in-one tools that let users build a site quickly, without needing to know any coding or site design skills. Although it sounds basic, a good website builder can deliver a professional looking site that uses mobile-friendly best practices, integrates with social media and e-commerce tools, and seamlessly updates to stay current and secure. FAQ Sliplink Network Website Builder -Your questions, our answers. Create a website quick and easy. You've got something you want to share with the world, and you need a way to do it. Sliplink Network Website Builder is a straightforward and simple way to build a brilliant website and get your idea out there for everyone to see. In fact, we'll prove it. et online fast with a personalized website. When it comes to starting a website, there can be way too many choices. Fortunately, get online fast with a personalized website. When it comes to starting a website, there can be way too many choices. Fortunately, GoCentral Website Builder starts you off with designs all tailored to your industry — be it retail, restaurants or running your own blog — making it easier for you to choose. And that's just the start. Website Builder starts you off with designs all tailored to your industry — be it retail, restaurants or running your own blog — making it easier for you to choose. And that's just the start.